What are networked consoles? Would they make a good addition to your facility? What’s the benefit? 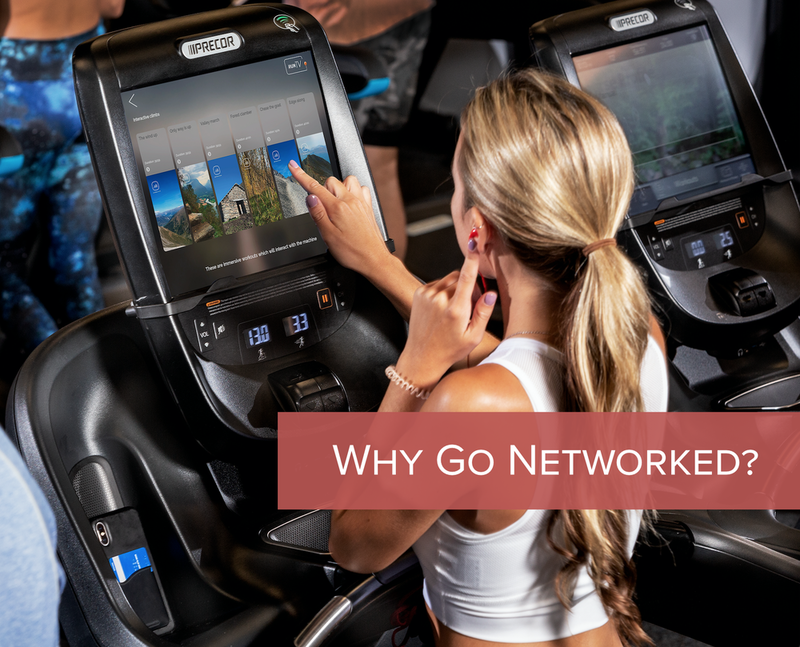 To be competitive in a market that is consistently growing and modernizing, why not look into networked consoles on your Precor cardio equipment? With networked consoles, unlock increased engagement and retention, and a specialized means to monitor your facility and improve operational efficiency. Networked consoles could be a great option to meet your facility’s unique goals and objectives. Through the Preva network, operators can monitor their equipment, communicate with exercisers, and personalize exerciser experience. With Precor networked consoles, you gain access to a central web portal where you can observe and manage all Experience Series networked equipment with Preva Business Suite. 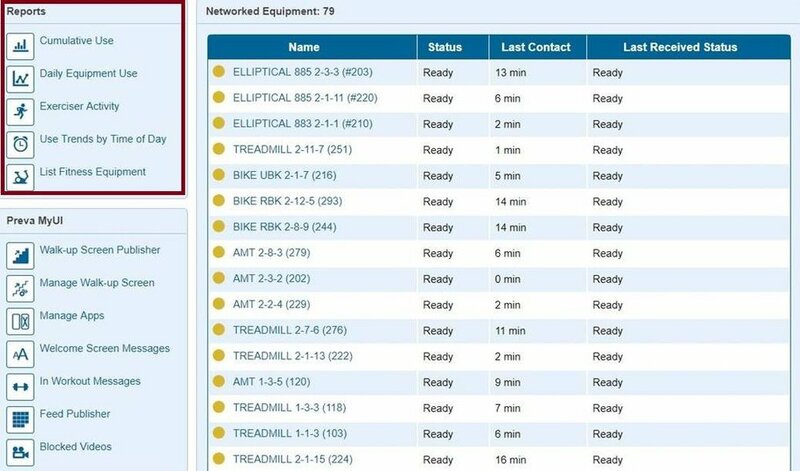 You can track usage by model and time of day, view workout summary reports, and keep track of the life of your equipment. You can see which pieces are used the most and arrange your equipment accordingly so as to maximize your equipment’s lifespan. Receive alerts when maintenance is needed, and get explanations for error codes. These features and more keep you alert and in tune with your facility and the operations of your fitness space, keeping you in the loop with your exercisers and your facility running smoothly! Networked consoles means networked fitness powered by Preva. With Preva, exercisers can save their workouts, and get access to entertainment apps and RunTV. Through automatically updated content and on-demand, personalized workouts, the exerciser has a lot of options! With apps like Netflix and YouTube, they can stream TV shows and movies and videos during their workouts. These kinds of features keep your exercisers engaged and wanting more, keeping them coming back to your facility! 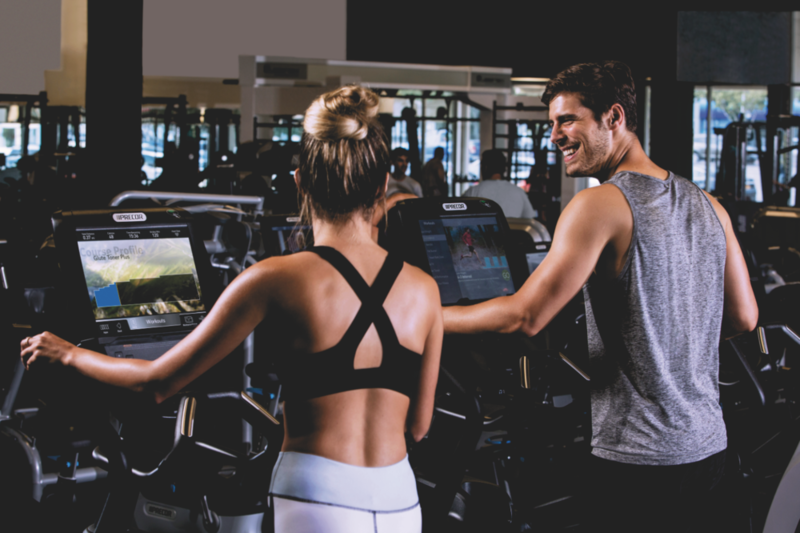 When it comes to your decision of whether to incorporate Networked Fitness into your facility, which console to choose, and additional features to add on, that is a collaborative decision process that we can help you through. We will take into consideration your facility’s specific goals, your business objectives, and the space’s technological capabilities. These and other topics of discussion will help us tailor a solution that fits your priorities just right. To get this conversation started, please fill out the form at the bottom of this page. We look forward to hearing from you! We look forward to working with you to make your fitness facility the best that it can be.